How Long Should I Study for the SAT? Note: This post has been updated to reflect the scoring changes in the SAT beginning in March 2016. Some would say a weekend; some would say a lifetime. Clearly, the truth is somewhere in between, and the answer really depends on you. Are you the busy type, but have lofty goals? Then studying an entire summer is probably necessary (and more, if you don’t do as well as planned). Not looking to rock the Ivy League, but hoping for a decent in-state school? Maybe a month is all you’ll need. But don’t spend just a weekend. Whereas a month can make a big difference in your score, depending on the materials and whether you have a teacher, a weekend isn’t going to make much of a difference on your score (and all-nighters are never fun). On the flip side, don’t fritter your life away, attending SAT schools every weekend, year after year (colleges do want well-rounded students). Of course, most students do not fall into this category, but if you are a super-achiever keep this advice is mind. Ultimately, how long you study for the SAT has a lot to do with your current score and the average score of the school you hope to go to. Figure that out first, and then you’ll have a better sense of just how much time you’ll need. Life is busy, and you just don’t have time to dedicate it all to one thing. But as long as you can give SAT prep a month of your time, you can—with hard work and a good teacher—expect to improve about 30 to 70 points in both Math and Reading/Writing, or up to around 150 points overall. With the right materials and a good teacher, a summer is ample time for you to raise your score by as much as 250 points (assuming you are not starting off with a score of over 1350). You will need to take practice tests every week and go through them with a really good teacher/tutor. That person will also help determine your weak points. If you are unable to get a teacher/tutor, you can still see such a point increase. It’ll just be a little tougher; you’ll have to be more disciplined and attuned to the errors you tend to make. First off, I’m here to tell you that such a score increase is possible. Secondly, the higher your baseline score (the score you start out at), the less likely it is to see such an increase. So yeah, if you are already scoring 1400, then it is impossible to increase by 300 points. But for students scoring in the 900-1200 range, a 300-point increase is possible, given lots of hard work and, of course, time. You will need to become an avid reader, a math machine, and a grammar nazi (or at least think like one). But these are all learnable skills, with the right guidance and materials. You will probably need more than a summer; in fact, you might find yourself working back-to-back summers. But that’s okay, if you are in between your sophomore and junior years. With the determination, you can do it. Let’s say you are already starting at the 1350- or 1400-level. Increasing 100 or more points is going to be tough. But you are probably already a strong student. You might only need about 6 weeks, but that will have to be an intense 6 weeks (you will be dreaming in fourth-degree polynomials and Reading passage quotes). Going through multiple practice tests a week with an SAT tutor may be necessary. With an entire summer, and the right instruction, you should be able to break the 1500-point threshold. Prepping for the SAT This Summer? Sir I am a Indian student I have gave the SAT in May 2014 and Got 1690 I want Atleast 2100 marks and I am applying for SAT in October 11 2014 can I dot I t with three months of hard work and I have passed High school In india this year and I am looking forward to take admission in USA my last SAT scores were quite less due to inappropriate reading in one month I got 630 math 530 writing and got 530 in Critical reading. Please tell me how much I have to study per day to get at least 2100. If you have some suggestions please tell me. With 3 months hard work a 400+ score improvement is possible. But yes–it will take a lot of work. And you might need some structure or tutoring. I’m not sure how the SAT testing centers are in India, but you might want to check out the Magoosh SAT program, since it is all on your computer. We also provide study schedules to help you go up to the 2100-level. You should also continue reading the blog as much as possible looking for helpful hints/strategies. You’ll get book reviews, and more (I recommend the College Board SAT, by the way). So hopefully, that’s a good place to start to help you nail that 2100. I’m a big believer in hard work and focus. So yes, you can increase your score by that much. The fact that you are already reading the Magoosh blog–which is full of study tips–is a good sign. My advice: start with our SAT eBook (it’s free). It will give you the guidance you need to make incremental improvements on your way to an 1800–and maybe beyond. I scored within a range of 215 to 224 on the PSAT with ~1 hours’ worth of vocab studying (for some reason college board gives you a range for each section; I just added them up). It was through my school, free, and didn’t count for the national merit scholarship. That said, if the PSAT is supposed to correlate with relative accuracy to my potential SAT score when I take it this year… Should I look forward to aiming for a perfect score? How doable is this and should I somehow alter my study plan? For the record, I did worst in math (the top of my math range was 69), but I hadn’t studied any math since prior to that summer, and I took the PSAT at the start of the school year. Also, I’m a bit scared of the essay, since it seems so unpredictable. Is there any way to prepare for this/tips etc.? I’ve read that one should always write the full two pages–but beyond that all I can say is that I find writing easy and intuitive (and I’m generally pretty good at it). 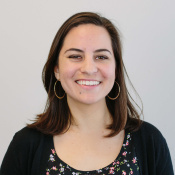 That said, I’m just– in some sense– annoyed, because many of the specimens that college board has presented and many of the other examples I’ve seen of 12-score papers are IMHO pretty subpar: extremely simple writing in style and substance. Like I said, this scares me to some extent because the standard I have in my head of good writing doesn’t appear to correlate to a perfect score with college board. And finally, how does the essay factor into my score? Is it completely segregated from the other scores (multiple choice) or is it rather a component of one of my English section scores? Thank you so much! I’ve already bought a subscription to Magoosh. The good news: after reading your comment I had to remind myself that you were a high school student. Your ability to express yourself intelligently is far outstrips that of most high school students I know. As for your thoughts on the essay, I agree: a ’12’ essay is not stellar writing. The thing is the College Board would agree with you. However, we are reading high school student’s essays (under timed conditions, no less), not the work of seasoned journalists. As long as you keep on topic and clearly develop your ideas as they relate to the thesis, you should do very well, given you ability to express yourself cogently in writing. In regards to your first question: sure, aim for that perfect score. Take a few practice tests beforehand to see just how close you can get. Together with your PSAT scores, the fact that you are sedulously prepping for this SAT bodes well for a very high–if not perfect–score. how much time each day do we study on a school day for the next 13 months?Can I improve by 800 points? Hi everyone, I had left three months till my December Sat exam, now my Sat score is 1270 (this score is terrible) and is that three months enough to get 1800 in December? hi, I have just started studying for SAT exams and my math is great i only have problem with the other two. could u tell me how long would it take for me to get fully ready for the other parts ???? Hi . I am an international student and i need 1300 on sat. First when i did not have any information i scored 850 form 2 sections. because i do not need to study the writing section . How much time is needed to get 1300? Im going to do it again in either March of May and im wondering if the time i start to study from now will help me get above 1800? also, there are no SAT centers here in Saudi where i live so it will mostly be self work. I signed up for SAT a month back.. But I had some exams so i was not able to concentrate on my SAT prep that much.. Now i have 9 days …. And till now i have done only two papers and did some vocabulary .. How should i plan my study schedule in order to get score of atleast 1500 ..? Sorry this is a little late :(. With the holiday season afoot everything get chaotic :). To answer your question: I would spend time doing only one thing. Take College Board practice tests. At first, work on a couple of sections at a time, trying to understand your mistakes. That way, you can get a sense of how the test works. Since that can be daunting, we have made an explanation for all of Test 1 on youtube. Just enter in “SAT Magoosh Test 1” and that should do the trick. For the specific question, you’ll want to enter the question number and the section. Hi I immigrated to the United States in 2011 from Pakistan and I took the sat twice, but got no more than 1210. I was really upset because I was planning to attend some of the really top colleges in the US and they require a score of at least 1800 or more. Now, I have like a month and a half left to be ready for the next sat in January 2015. Is there’s anyway to increase my score by 500 points? Thank you so much, I really need help because I am not really able to afford the expensive sat prep classes. I took my first SAT exam in Dec 6 with 20 days of preparation ( 3+ hrs per day) and got 1470 with a 410 in CR, 550 M, 510 W (Essay-9). During the test,i almost answered all the questions in frustration .To be frank, i didn’t practice a single essay. And now, i really want to increase my score to 2000+. I am a high school graduate and have planned to spend 10 + hours on it. IS IT POSSIBLE TO INCREASE MY SCORE BY 600+ points in 4 months time? Also, i will not be using Facebook, play video games, sports or anything that will consume my time. I have been reading New York Times articles, and other novels to improve my reading! Please, I need your advice on this!!!!!! I took my first SAT exam in Dec 6 with 20 days of preparation ( 3+ hrs per day) and got 1470 with a 410 in CR, 550 M, 510 W (Essay-9). During the test,i almost answered all the questions in frustration .To be frank, i didn’t practice a single essay. And now, i really want to increase my score to 2000+. I am a high school graduate and have planned to spend 10 + hours on it. IS IT POSSIBLE TO INCREASE MY SCORE BY 600+ points in 4 months time? Also, i will not be using Facebook, play video games, sports or anything that will consume my time. I have been reading New York Times articles, and other novels to improve my reading! Please I need your advice on this!!!!!! Yes, you can do it–with the right attitude and the right materials. You’ll want to pick up a copy of the College Board Book. It contains actual SATs given in the past. And you’ll want to learn strategies. Princeton Review is good at doing this. 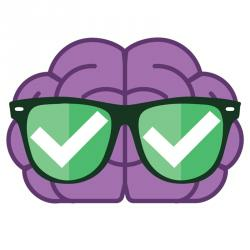 If you like online learning, the Magoosh SAT program is pretty awesome, because it covers everything that could possibly come up test day. Of course, the Magoosh SAT blog is a great place to start. Make sure you check out our study schedules, so you can start following a plan that will get you to that 2,000 goal. Oh, and makes sure to take practice tests at least once a week to make sure you are improving. Hello. I have not taken the SATs yet and I plan to take them in May. I already have the College Board book and I’m planning to get 3 more books and some flashcards. Do you have a study plan so that I can get the highest score possible? Thanks! That sounds like a good start :). I’d recommend the Princeton Review book (the one with a bunch of practice tests) and Barron’s. I am not a big fan of Kaplan, mainly because the content doesn’t match the actual SAT very well. Good luck, and hope that helps! 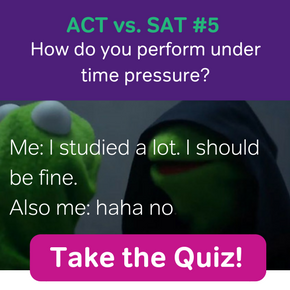 thank you for your sat tips! Im planning to study the sat over the summer. I tried to balance it out with my schoolwork now but it has been to hard to study with the challenging classes im taking, because im looking forward hopefully to go to an ivy league. Im a sophmore now and plan to take it junior year before the sat changes in spring 2016. i have the barrons book and the blue book. I scored a 168 on psat and about a 1500 on practice sat tests. Any tips on how to study by yourself? How should i study to earn 1900 or 2000+ at best. Thank you for this mind opening post of yours. I’m bhargav and I’m an Indian student! !sir I have completed my 2 with 73% and now I’m planning to take coaching for SAT and IELTS so sir how many months should I take up the coaching for SAT to get 2000marks I’m taking up coaching from sept and I’m planning to write the exam in Jan or march so sir how many months are enough for me to score a good SAT score I wanna write it in Jan so as I can apply for the scholarship coz without the scholarship I can’t study aboard sir so plz tell me are 4months enough or should I take 6months coaching and should I write it in march? ?sir plz do reply me and sir one more thing will my 2 % affect my scholarship sir? ?plz reply me sir!!!! To be very honest with you, the amount of time needed to study for the SAT really depends on your strenghts/weaknesses and how much time you have to prepare. One important thing for you to know is that the SAT will be changing in March 2016. 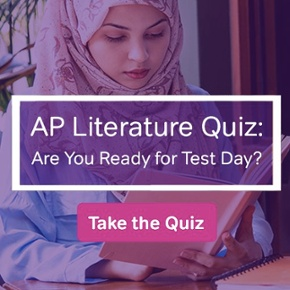 So, if you take the test in January, you will be taking the current version of the test, but if you take the SAT in March you will be taking the new version of the test. Most students can prepare in 3-6 months, which means that you should have plenty of time to improve your score by January if you begin your prep now. Since you would need to take the test in January in order to apply for scholarships, I would recommend doing that. As for your 2%, I’m sorry to say that I’m not very familiar with Indian secondary schooling, so I’m not quite sure what you mean. I’m also not an expert on scholarships for international students — sorry I can’t be of more help to you on these topics! But I would definitely recommend reaching out to someone who is for more information. Best of luck with your SAT prep! First off, I was curious which deadline you were referring to? you’ll want to sign up as early as November 23rd. work and the proper tools, you can make that score improvement. then you can reassess your goals. Hello! I’m currently in year 11 and plan on giving SAT this year. Before starting off with the SAT Coaching I had given a SAT Diagnostic test in which I scored a 1313. My score was essay in 9 , Math – 400 and Reading and writing somewhere near 420 as well. During the test I didn’t attempt all the questions because of the limited time frame which is provided. Now , I plan on finishing off SAT by year 11 so that I don’t have to struggle with the 2016 SAT pattern. Do you think a time span of around 3 months is enough for SAT prep? I’m pretty obtuse at math but my reading and writing are pretty strong.What do you feel should be my routine?I plan on getting at least a 2100+.Also , I’m an Indian Student. provide a more tailored plan. significant gains in all three sections, esp. writing and reading. For vocabulary practice–which is important–the 500 Essential SAT words are the way to go. Finally, the Magoosh SAT product is also available. Of course, I’m slightly biased, but I think it’s a great resource :). As for general approach, make sure to take a practice every week and diligently go through the test afterwards trying to learn from your mistakes. the answer you originally chose (assuming you it is incorrect) is incorrect. I got a score of 2190 in one of the college board sample SAT papers. I want to improve my essay writing portion. Any suggestions? I have my SAT exam in 10 days. Absolutely! We have a lot of resources to help students improve their essay scores. In general, students can usually improve in two ways: 1) content and 2) pacing. The pacing factor is really important, because it can be difficult to write a thoughtful, 5-paragraph essay within the time constraint. The best way to improve your pacing is with practice – do as many timed essays as possible leading up to the test! I hope that helps! Good luck on your upcoming SAT! hey i need serious help and suggestion… I am planning to take sat on dec 7th. Because belive me i didn’t planed to take sat.. i planed to take jee(a highly competitive entrance exam in india).. But in last ten days i changed my mind and planned to take sat exam (Due to various reasons don’t comment on it plz) .. The college which i planned to study for my UG is need to submit the application in nov 30(deadline).So i must try in nov 7 sat test.. i already started my preparation . The math questions is really too easy for me. As i am good in mathematics.. i am good in english too. Always i am attracted to english movies and others. in my view i can talk fluently in english.. i am a student of GPA 3.6.. and belive me or not i am a really a hard worker. i will do my all strenth and effort for the sar reasoning test (As the college need Sat i) The college which i want to enroll has a avg sat of 1600. As i am a international student any thing can happen.. So the bottomline is i really need that college(Do not mind the college which i want to enroll is Berea college) so can i prepare myself to get admission in the college with one month preparation. i am good with math and english too..But i don’t have much time for it,only one month and 8 days.. So give some tips which can help me to score sat atleast 1800. i can score 700+ in math no doubt but in others like critical reading and writing i am not so sure. This is my first attemp for Sat. I am about 18 years old. i passed my hing school this year and preparing myself for some entrance test in india But suddenly i completely changed my mind. iI will do my best for the Sat. and i am too serious about it.. so tell me can i score 1800+ in my first attemp. The previous test question i test myself and noticed that these Sat question are too easy for me.Plz suggest me some useful tips for sat test i have one month to prepare and yeah tell me my chances for the berea college(the essay and interview section plz let that to me, i need just in Sat and toefl, hmm toefl too ignore it just sat) Can i score 1800+ in my first attempt if i give my best in preparations? 1) Spend most of your study time preparing for the parts of the test that are most challenging to you. 2) Invest in a preparation tool, like Magoosh SAT prep, that offers lesson videos, practice questions, and useful strategies to help you improve your score. Our 1 Month SAT plan is on sale until October 3rd. 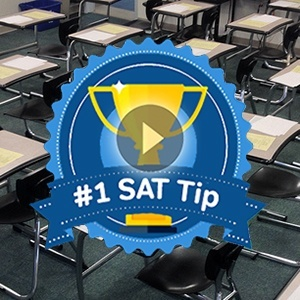 3) Take at least 1 full-length practice SAT test before your exam. I’d recommend getting the 2nd Edition, because it’s the most up to date. Here’s our review of that particular prep book, if you’re interested. I hope that helps! Thanks Rita Kreig for your comment but i thought the 2nd edition of the book is for redegined sat? I will give sat on nov 7.. And if the 2nd version is for 2015 sats too then it will good coz the old was published in 2011 or something Can u mension the 2nd edision release date.. Just give me Direct answer that which will be best Sat or Sat 2nd edition? You’re very welcome! The 2nd Edition that I linked you to is designed to prep you for the current SAT. That’s the one you should use. 🙂 If you’d like more information about the book, please refer to the book review that I linked in my last comment. Best of luck with your prep! I hope you do very well on the November exam. Hello I am celeste from Bangladesh. I am a high school graduate & I am intending to take up sat for getting admission in a university in other countries for next year that’s 2016. Is it possible to take preparation for sat in this time? where should i start from? and exactly how many times does one need to take up sat to make a good score? hoping to get a reply soon! Most students in the US take the SAT 1-3 times. The number of times you should take the test depends on your goal score (the score you need to get into the programs you’re applying to) and whether or not you meet your goal the first time. I’d recommend trying to give yourself time to take the test twice before your applications are due, just in case you’d like to retake the exam after your first try. In terms of where to start, I’d recommend using Magoosh! We offer a 7 Day Free Trial, so you can sign up and test out our prep before you commit to purchasing a plan. We offer prep for both the current SAT and the New SAT (which will debut in March 2016). If you have questions about which plan to choose, or how to sign up for the free trial, please email help@magoosh.com and our team will help you out. Best of luck with your SAT prep and college applications!! I’m an Indian student in grade 11, and I plan on takiing the SAT on January 23. I’ve taken a diagnostic test and practiced a little, but I still haven’t started studying for the test with full focus. I’m pretty good at Math and Writing. but CR is the one that causes problems. With about a month and a half left, what should be my study routine to score around 2200. I’m aiming for top schools in the US. I have a son who is a Junior in high school, a prof gamer – world smite level, but does not feel he needs to take any classes to do prepare for the SAT exam. What is the best plan for me to help him be prepared for the exam. He says he will study by himself and I purchased “The Official SAT STudy Guide” for him. Hello. I am a senior and will like to take the sat in October. I currently have a 1210. If my math score was higher, I probably would not bother retaking it since I had one of the highest scores in my class and I am only aiming for state schools. But I did not reach the benchmark. I got 500 compared to 530. I plan on khan Academy. How long shouldI commit every day? Math is my main focus as of now. Sorry to hear that your math scores weren’t where they needed to be when you took the test. That’s always frustrating. It sounds like you’re on the right track though. Since it’s summer, I would take as much time each day as you can to study math. Certainly at least 2 hours a day, 5 or 6 days a week. More if you can. 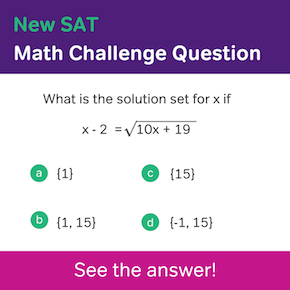 Practicing problems, watching video lessons and re-watching video lessons are all good things to do if you want to boost your SAT math score… And all of these activities can be pretty time consuming. planning to take SAT on Dec 3rd to participate in Duke TIP. Without any preparation, she took 1st practice test on Khan academy on July 20th and got 1160(590 – Reading,70- Math). Now, she is practicing on Khan academy regularly and able to answer 100 % of Skill level 3 questions and 85% of skill level 4. Math seems she is still getting around close to 70%, seems she needs more practice there. Her Goal is to get combined score of 1300 plus. She will take 2nd Practice test on August 14th. She completed algebra 1 in 6th grade and geometry during this summer. Appreciate if you can recommend any tips and points us towards good material. Wow! What ambitious daughter you have. And what a great parent you are! 🙂 I have two main tips: first, make sure your daughter targets specific types of math problems that she hasn’t studied yet. She may be very good at math that she’s already completed coursework in. But there are probably some SAT math areas where she still needs to learn and grow. You can go through a checklist of the different kinds of math problems on the SAT by going here. My other piece of advice is to make sure you’re using as many real SAT practice tests and questions as possible. By “real,” I mean the practice materials sponsored by The College Board. The Khan Academy tests qualify as real practice materials, as Khan has an official partnership with the College Board. You can see a list of all official SAT practice on the College Board website.
. How many hours per day should I study for the SAT exam. My relatives talked to me about postponing the exam even though, I already paid for it. I’m nervous and confused about that. Can you advise what to do? Honestly, the amount of time required to reach your target score varies student by student. Two months can be sufficient, but I would first recommend that you take a mock exam to see where you stand compared to your target score. Then, you can have a better idea of how much work you’ll need to put into your studies (e.g., hours per day, number of days). After your mock exam, if you believe you need more time to prepare, then it may be better to postpone your exam. However, if you feel confident, then you should definitely proceed with the scheduled date. I’m planning on taking the SAT exam by the end of the year, which means I have a full year to prepare for it. But the problem is in my country there’s no tutoring or preparation help we only have the test center… If I work hard can I prepare myself from general books available for me and from the internet, and get the grades I want?